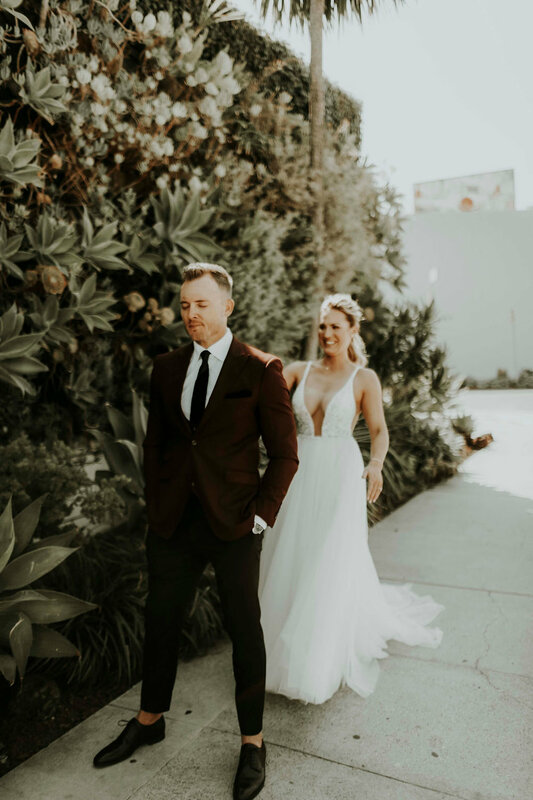 DTLA Smog Shoppe Wedding, La Cienega Blvd. 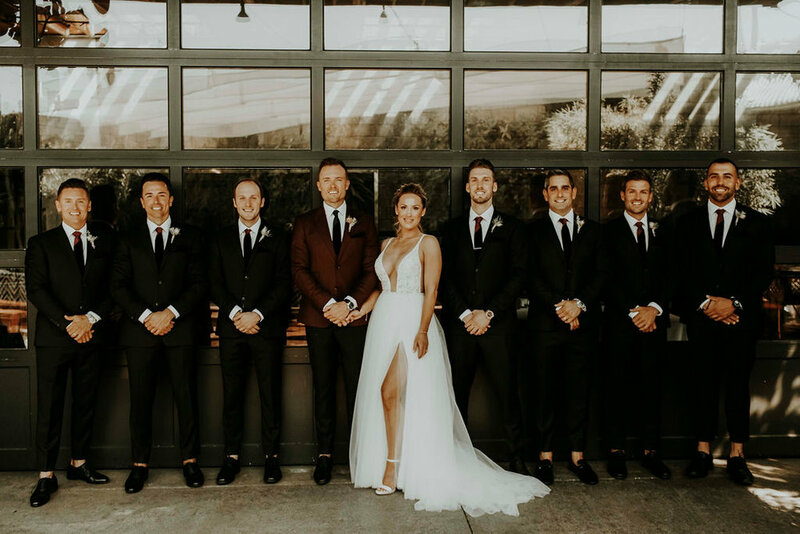 This wedding was goals, and then some! Ashley and Chris have impeccable style, I mean her dress and hair, come on. And having bridesmaids wear all black... that's my kind of style. 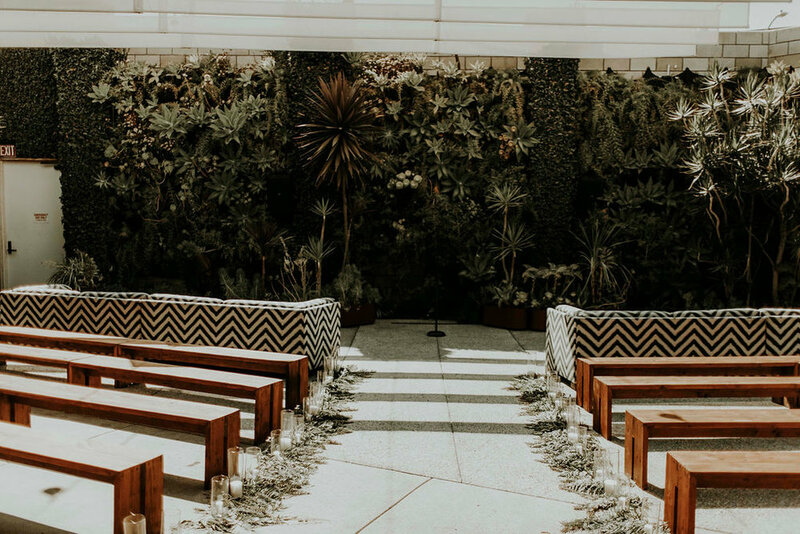 SmogShoppe is such a beautiful, intimate venue located right on La Cienega Blvd. I couldn't stop thinking about the song Setting the World on Fire, by Kenney Chesney!! So romantic. 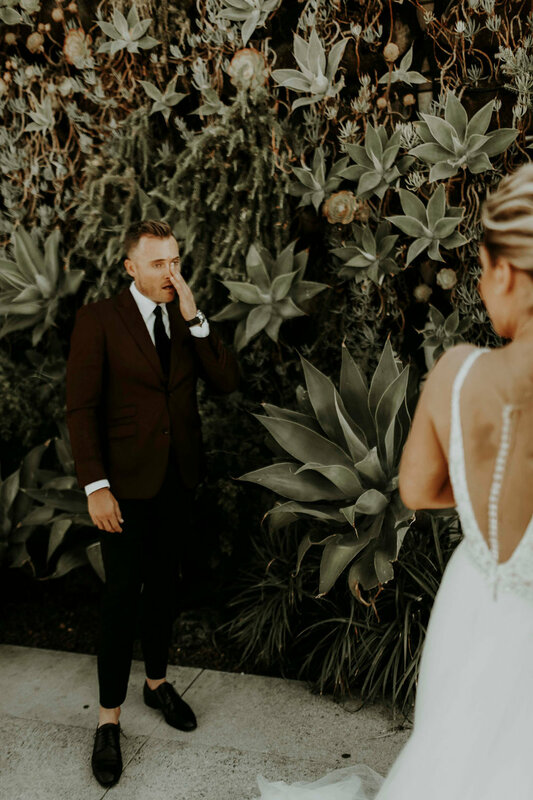 There's plenty of alleys right outside the venue that made for great bride and groom portraits, and the bounced lighting made for gorgeously lit photo ops.